All plans include automation, landing pages and integrations with Instafreebie & BookFunnel. 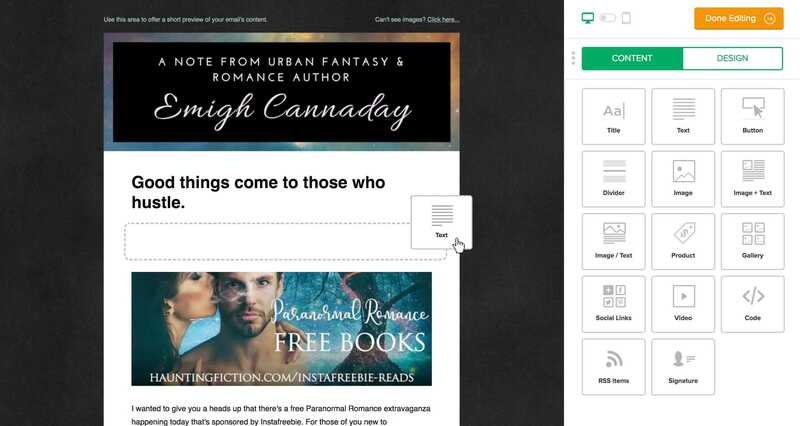 Integration with Instafreebie & BookFunnel makes building mailing lists a breeze. After a person has downloaded your freebie or a book, their contact details are automatically synced to MailerLite. All you need to do now is to continue the conversation with your new audience. Set up automatic email sequences to follow up with your readers. Thank them for downloading your freebies or offer exclusive content. 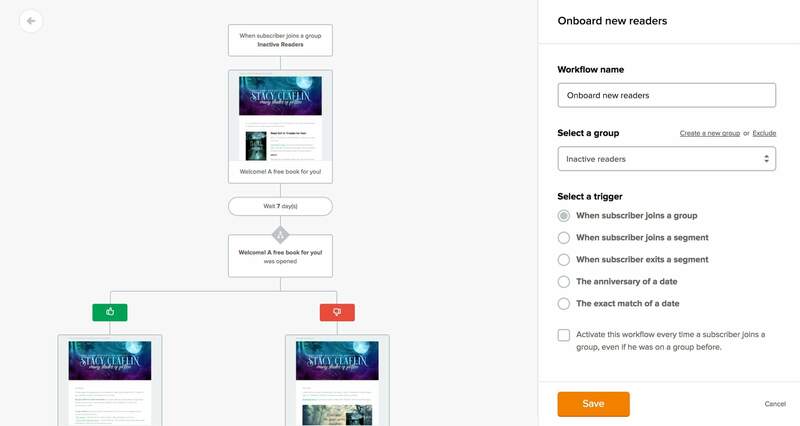 With few clicks you can interact with your users at scale and make them come back for more. 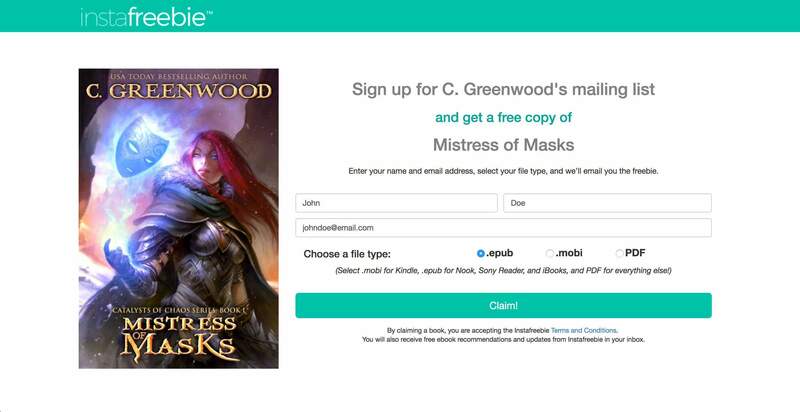 Send weekly emails with news, sample book chapters, or promotions. Our drag & drop editor allows you to create great looking emails in no time. No HTML skills are necessary. Your readers will look forward to getting your stylish newsletters! MailerLite offers many different ways to build your subscriber list: landing pages, pop-ups, subscribe buttons, and webforms that you can embed into your website. 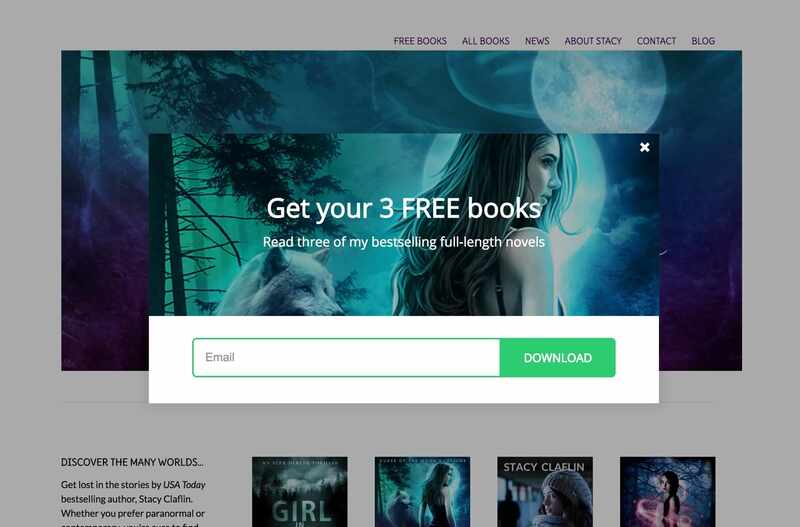 Use any of these options to turn your website visitors into loyal fans that can’t wait for your next book. When it comes to pricing, no other service beats MailerLite. We offer rates that are at least 2 times better than Mailchimp, Constant Contact and others. Can't believe it? Compare email marketing prices here. Start with our FOREVER FREE plan and easily upgrade as your subscriber list grows. Their webforms are easy to handle and my newsletters built with the drag & drop editor look amazing. Their customer support is always incredibly supportive. Not to mention that their prices are one of the best on the market. MailerLite’s fees were so much better, and with my list growing every day that was all I needed. But then I fell in love with their interface. The personalization for the subject line. The landing pages. The templates. Love them all. After hearing about MailerLite's affordable pricing, I didn't hesitate to make the switch. I wasn't disappointed! Their easy-to-use drag & drop editor makes designing attractive, engaging newsletters a cinch and the landing page feature allows me to easily offer new subscribers exclusive content without the headache. I highly recommend! It's 2-4 times cheaper than other services! It’s like MailChimp, but 2 times cheaper with no additional cost for extra features. It’s like Constant Contact, but with more cool features and 3 times lower the cost. It’s like Campaign Monitor, but 4 times more affordable and you can build your own landing pages and webforms!